The Milano Bench by Daytona will bring a touch of Italian glamour to a bedroom suite. This beautiful design features a strong plywood seat layered with multi-density rubber and an all over surface layer of goose down for maximum comfort. Inspired by the covetable style of the art deco era, this high-quality bench is upholstered with the finest materials. Choose from a range of fabrics, leather and nubuck leathers in a variety of colours to suit your interior scheme. 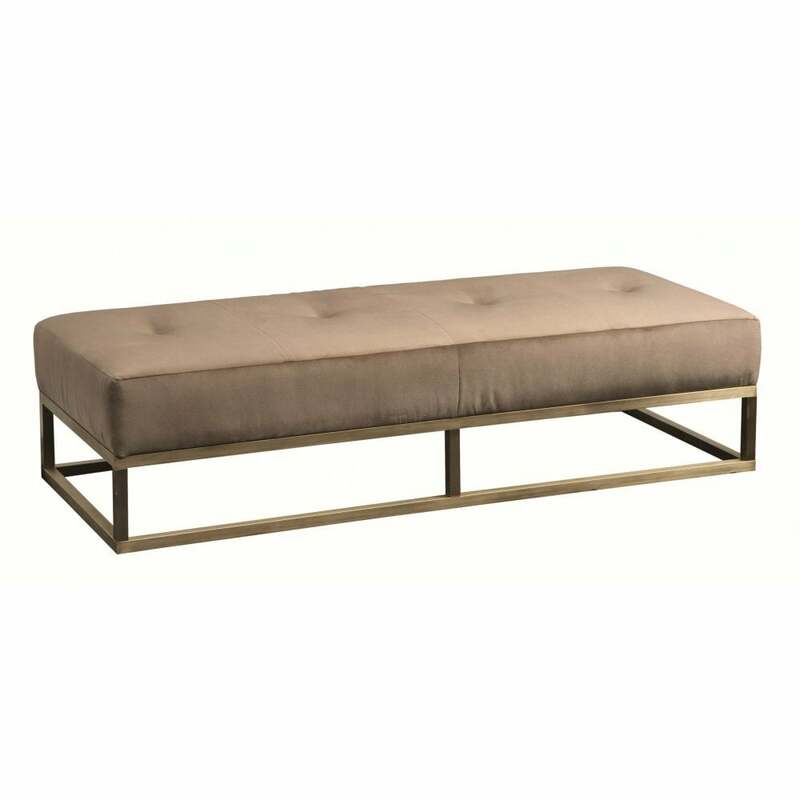 Complemented by a burnished brass base, the Milano Bench will add instant elegance to your home. Position at the end of a bed to create a luxurious bedroom scheme. Display books and drape throws over the bench for a luxe look and use the storage area underneath for shoes and slippers. Get in touch with our team for more advice and information.